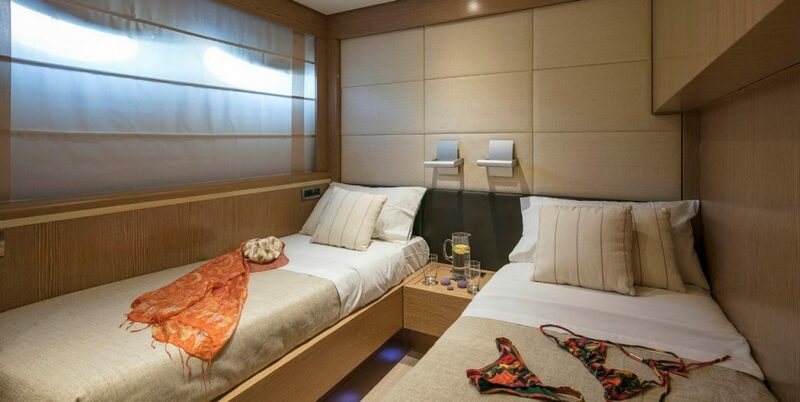 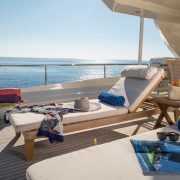 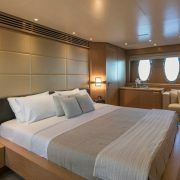 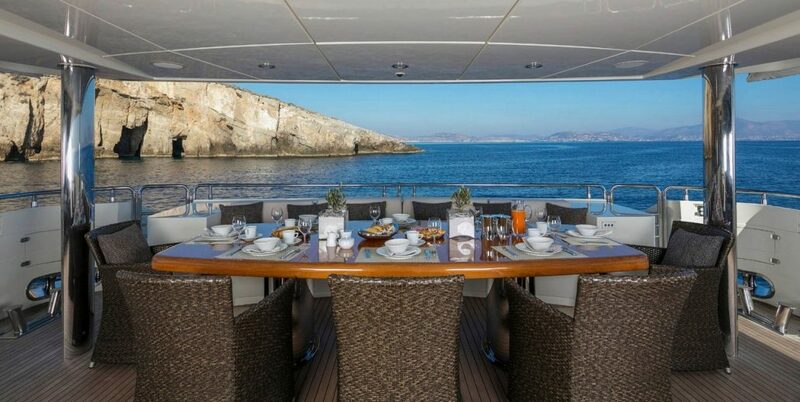 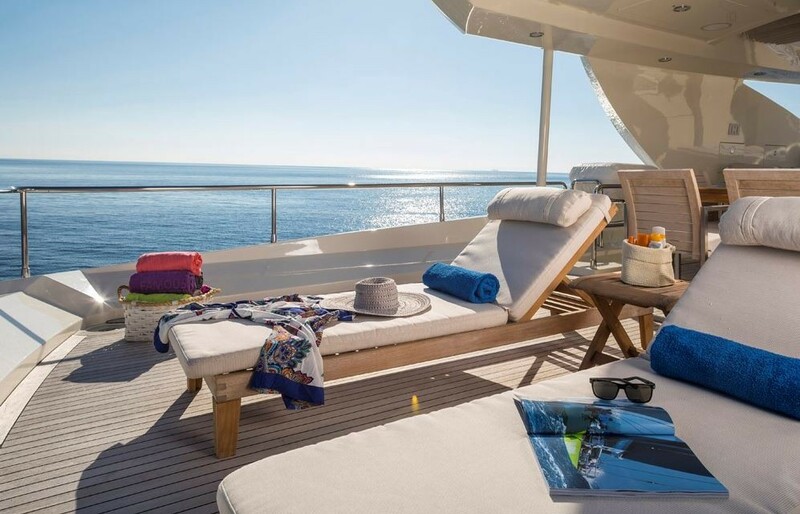 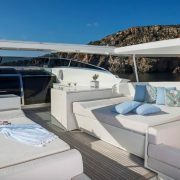 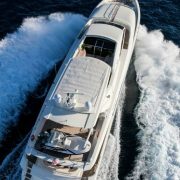 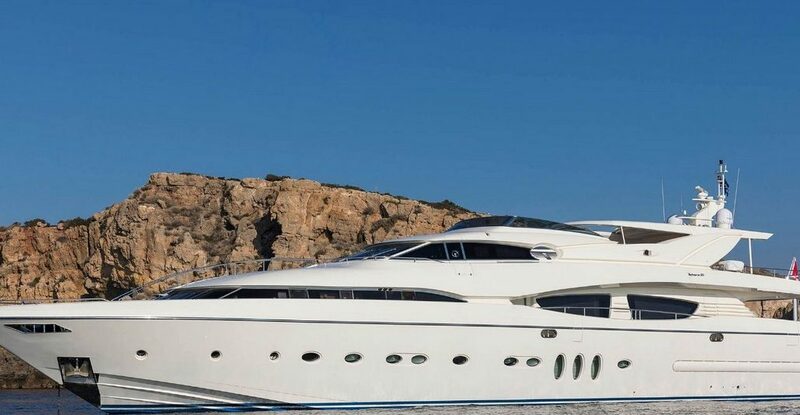 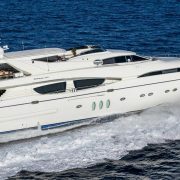 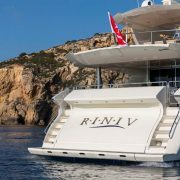 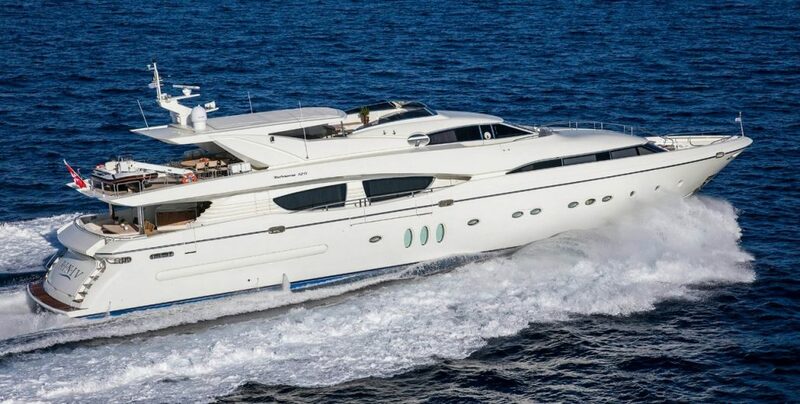 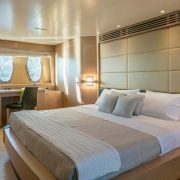 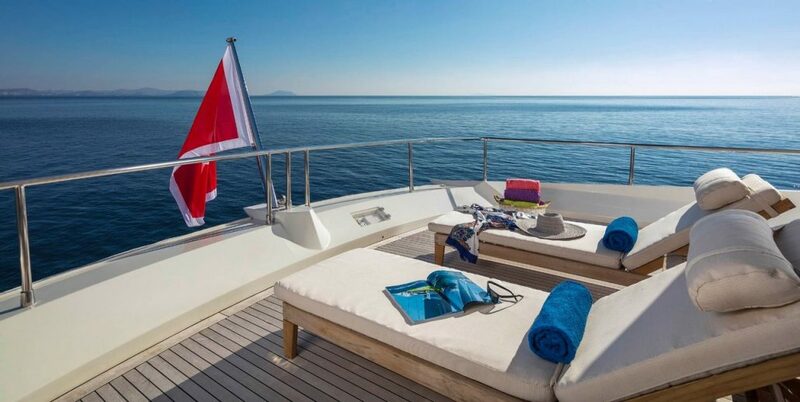 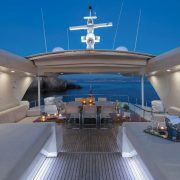 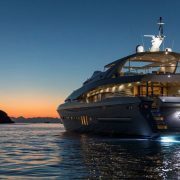 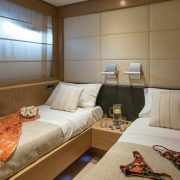 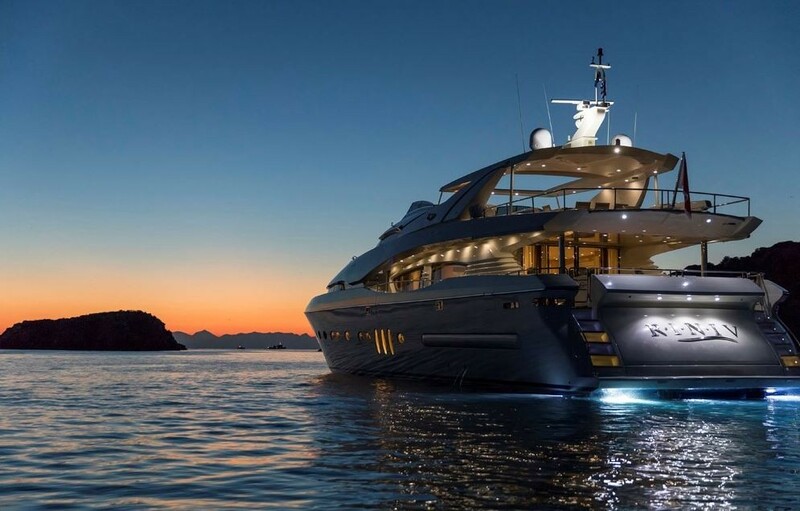 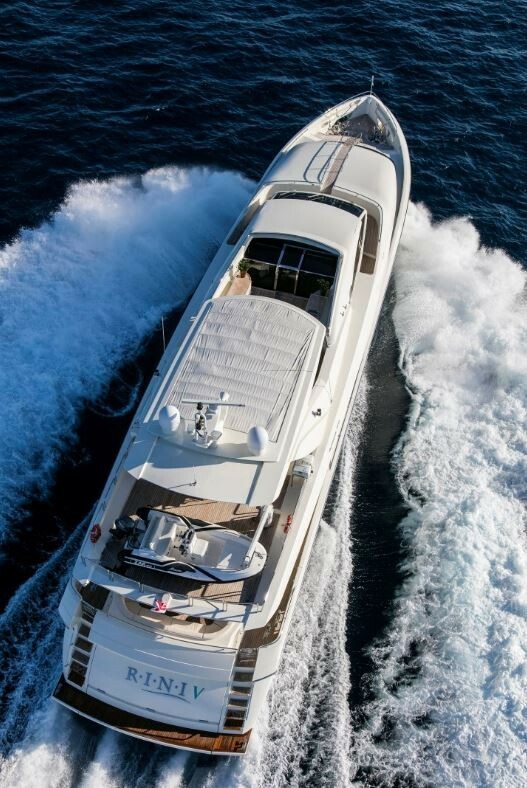 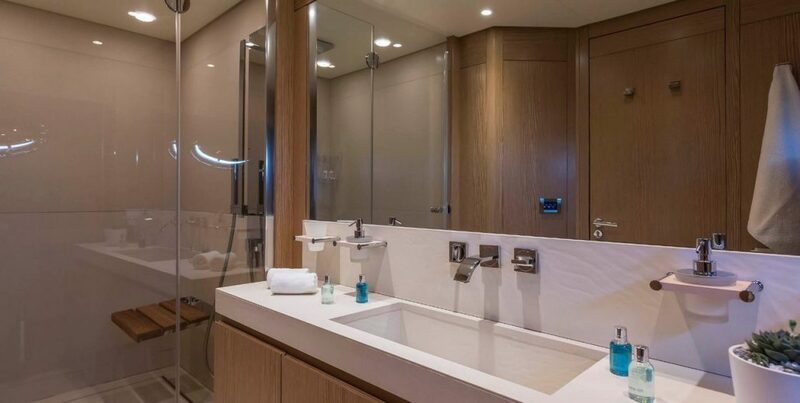 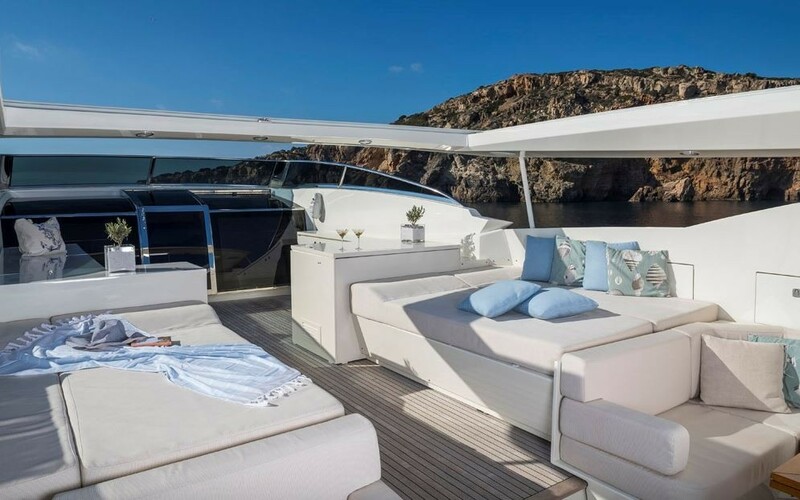 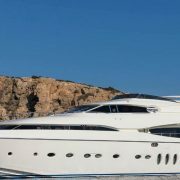 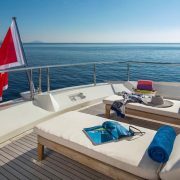 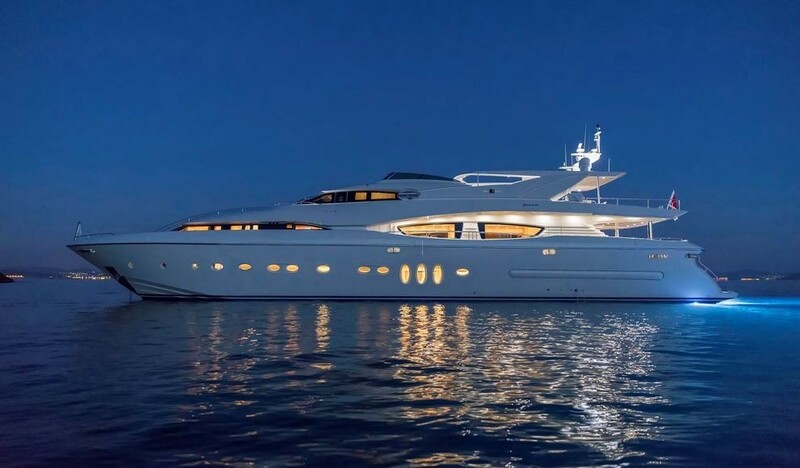 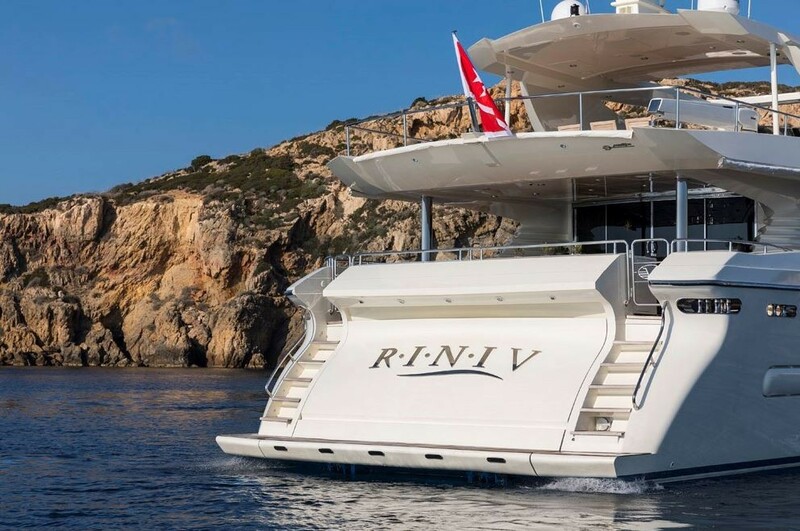 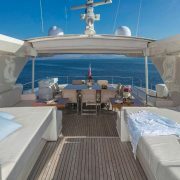 RINI V is a wonderful 120 foot sleek motor yacht that accommodates her guests, up to 12, in great comfortable. 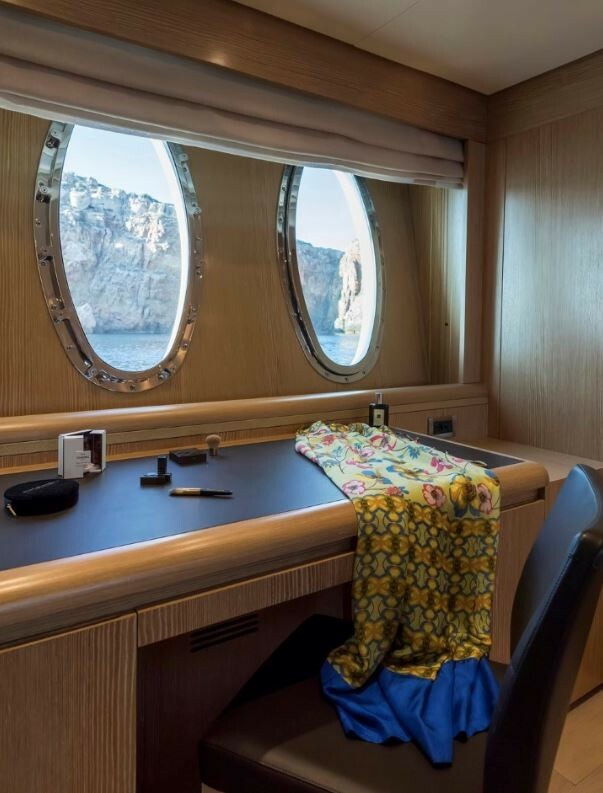 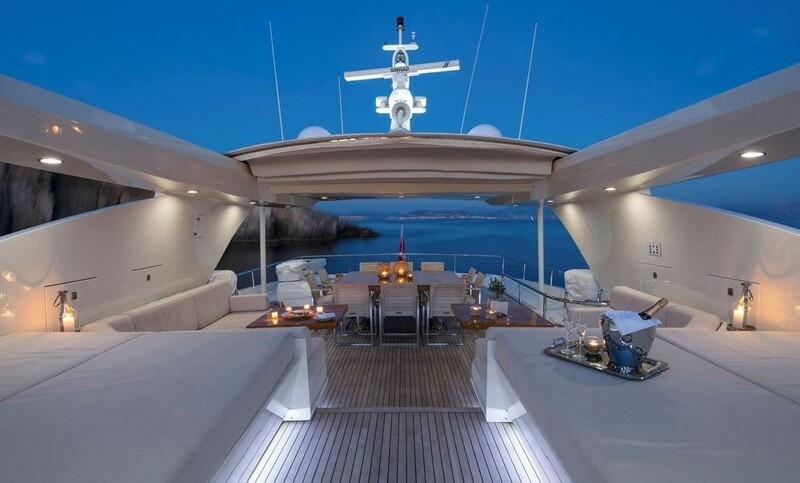 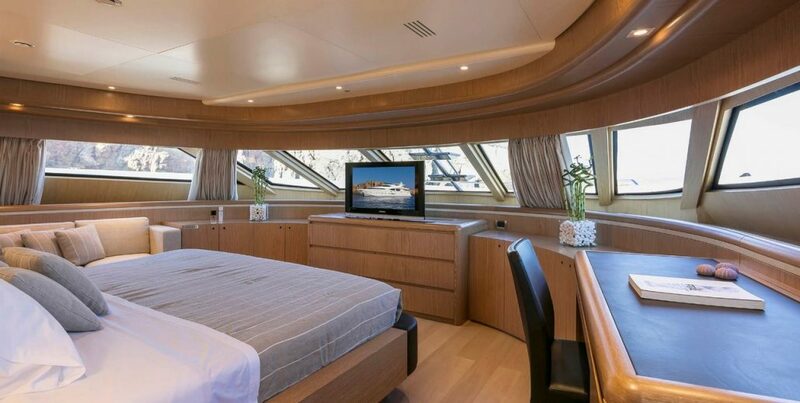 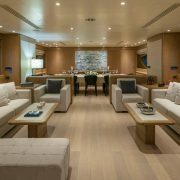 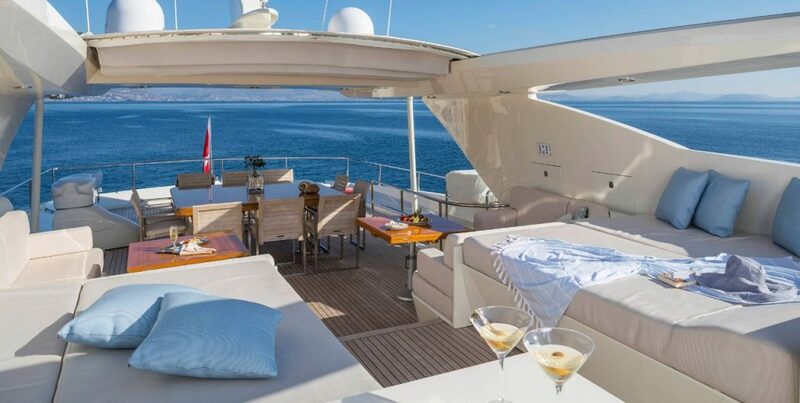 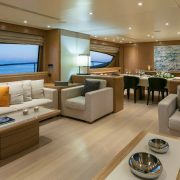 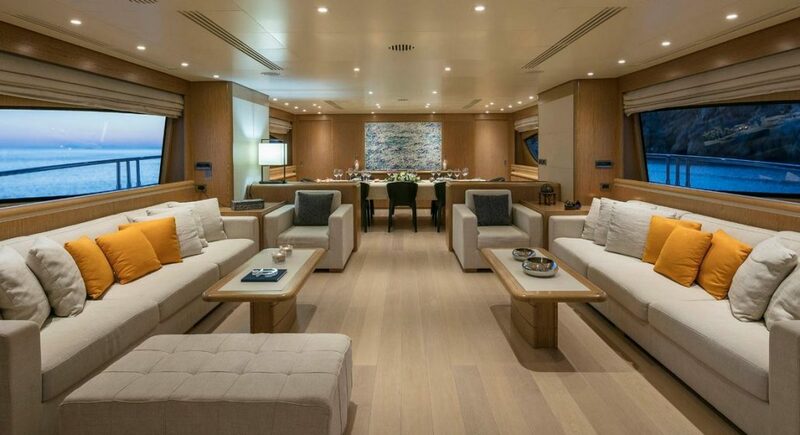 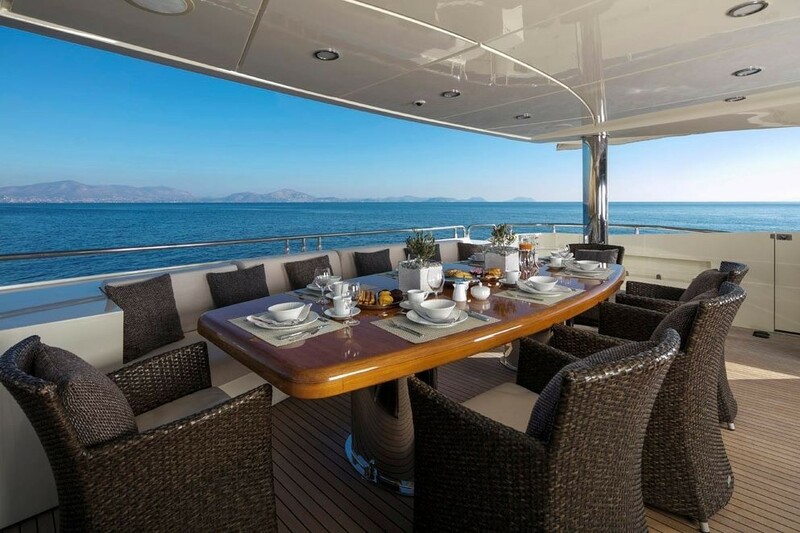 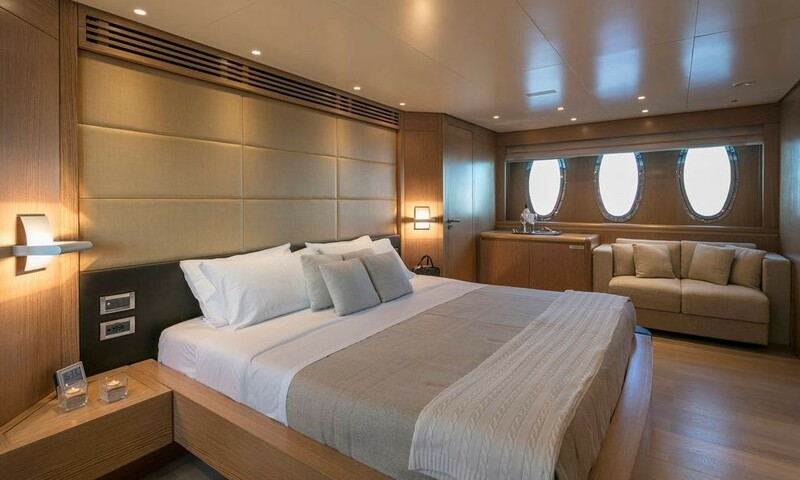 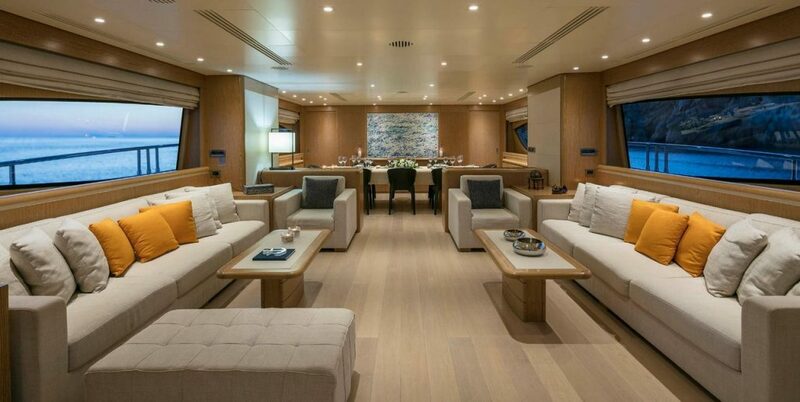 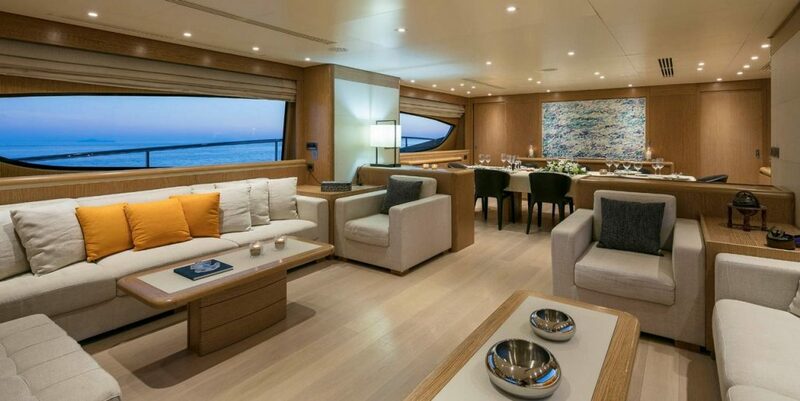 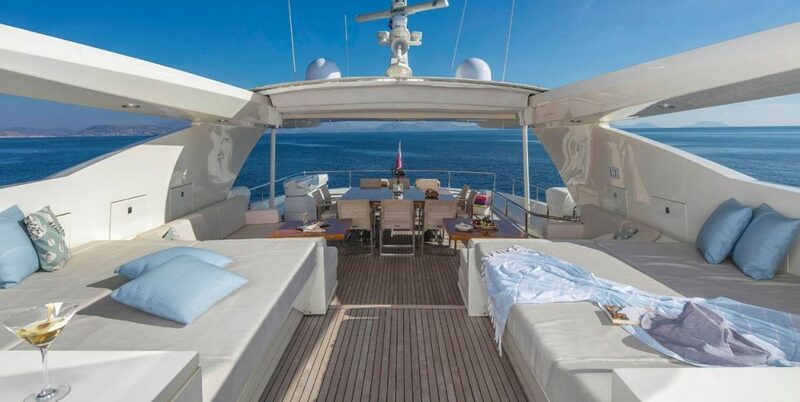 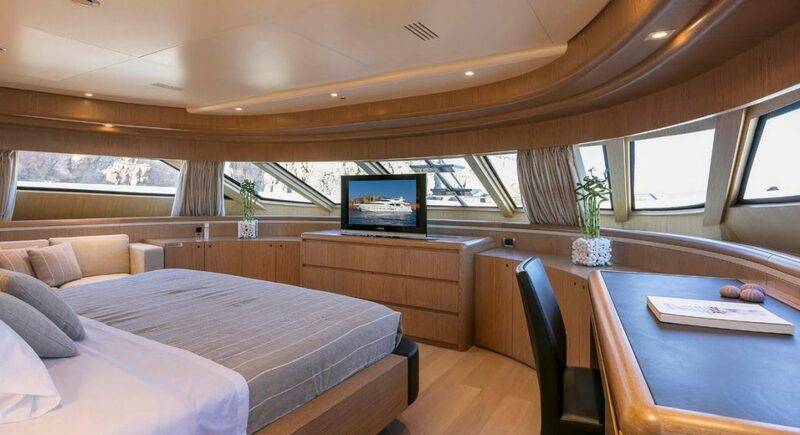 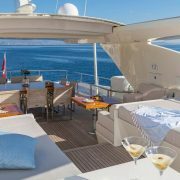 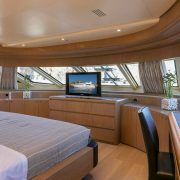 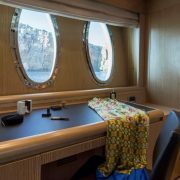 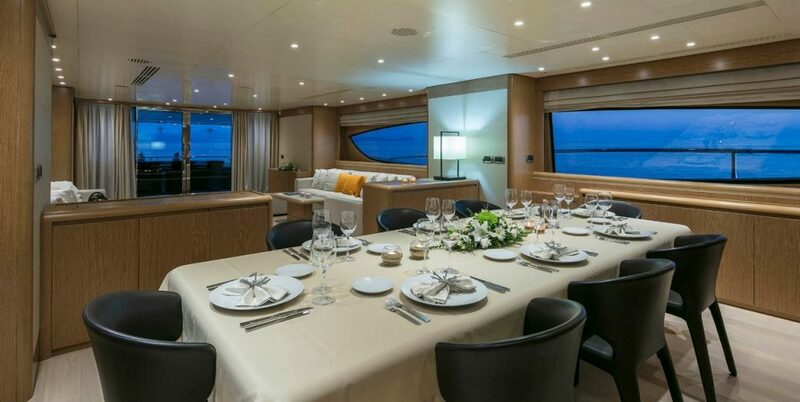 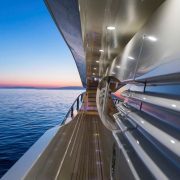 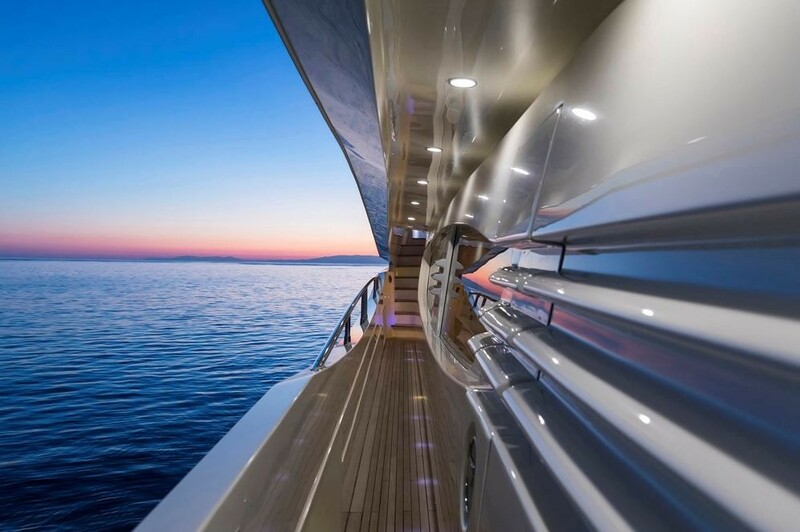 Her saloon has large long windows on each side of the yacht allowing the Grecian sun to brighten up the room. 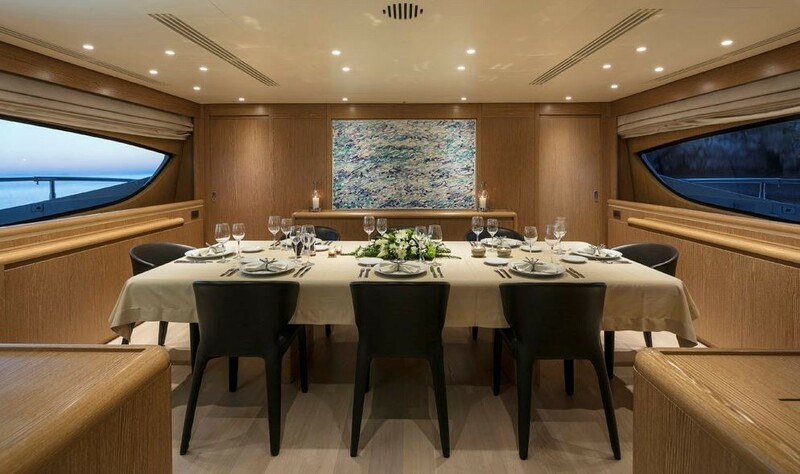 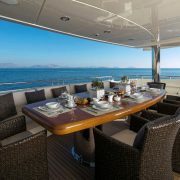 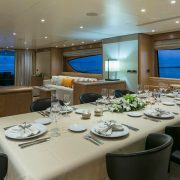 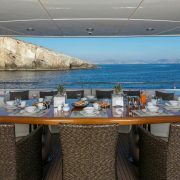 Dining can be had in the dinig room or in the open air on the aft deck or on the upper deck as well. 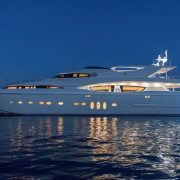 She is staffed by a crew of seven professional crew members. 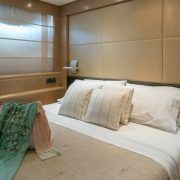 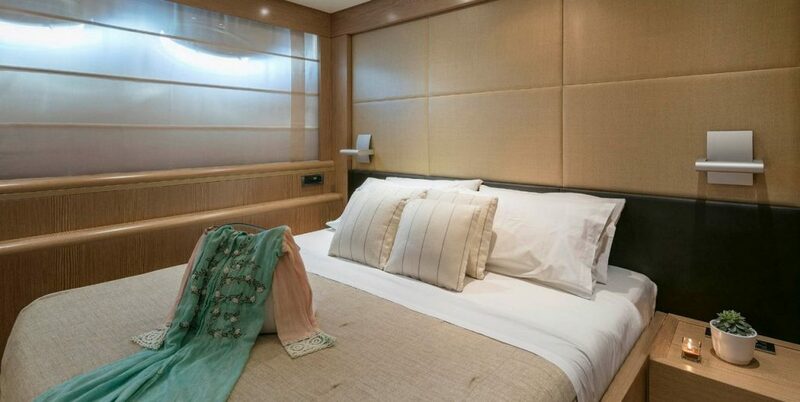 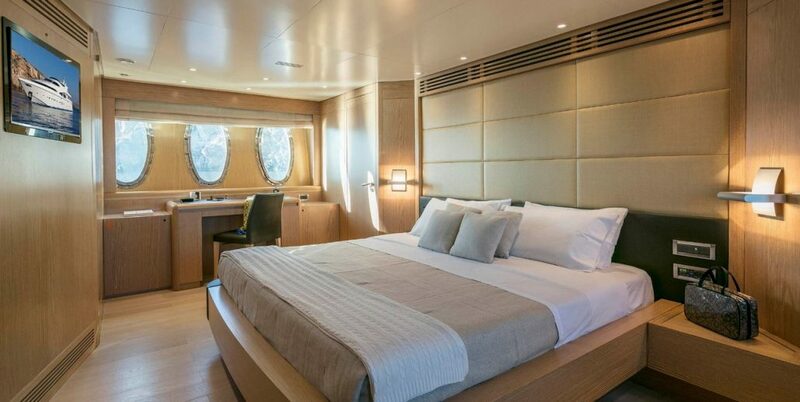 12 guests in 6 cabins with full beam Master cabin with king size bed on main deck , 3 VIP cabins with kind and queen size beds on upper deck, 2 twin cabins with 1 pullman berth each. 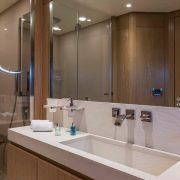 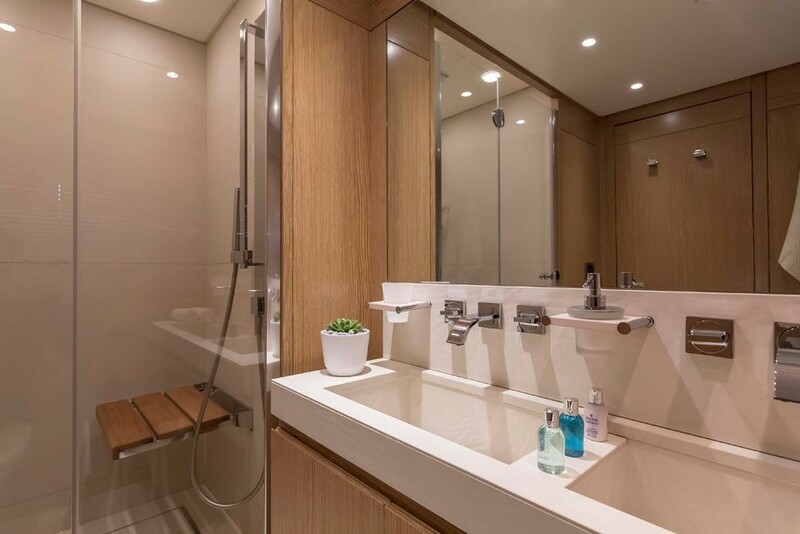 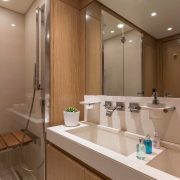 All with en suite facilities.